Imam Khalid Latif has a reflection series being published on the Huffington Post during the month of Ramadan. Yesterday’s post discussed ..
One of the questions we get asked a lot is: “how can I increase my chances of finding a spouse through Half Our Deen?’ In a previous post ..
One of the topics that comes up a lot when marriage is discussed is how it will help you be a better person. How after marriage half your ..
Finding a compatible spouse is an important step in establishing a solid relationship but its also just the beginning. 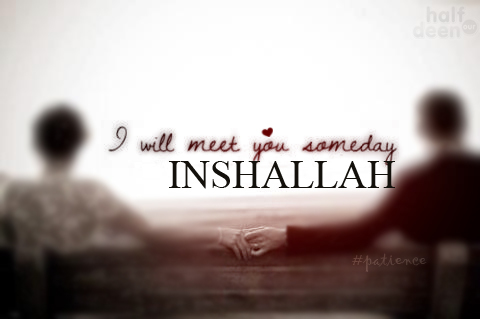 A healthy relations..
Half Our Deen’s 2nd Anniversary! Half our Deen turned 2 last week and we couldn’t be more excited! In fact, here is what Baba Ali himself has to say about this amazing mil..
Their eyes meet from across the crowded park. He is taken aback by her beauty. Her face glows like a full moon and he can’t seem to divert..
Parents and children clashing is not something new. Even if both were raised in the same country, with the same values, and the same way o..
What makes Half Our Deen special is that it does not utilize the typical, cookie cutter, approach that other Muslim matrimonial websites d.. Ask any parent what the most frustrating part of going on a road trip with kids is and they’ll probably say it’s the none stop questions o..